A Brief History of the Hewe’s Crab Apple in Virginia - City Vino, Inc.
Hard cider had been a popular drink during colonial times and the Hewe’s Crab apple was among the most popular apples used. Hewe’s Crab, also known as Hughes' Crab and Virginia Crab, is considered one of the best cider apples and is a cross between North America’s native wild crab apple and an undetermined European variety. It is small in size and can be harsh when unfermented but creates pungent, cinnamon-flavored ciders. The variety is first mentioned in records created in the 1750s and became the most common fruit variety grown in the eighteenth century in Virginia. Thomas Jefferson planted his entire north orchard exclusively with Hewe’s Crab and wrote that crushing it was like "squeezing a wet sponge.” George Washington also grew Hewe’s Crab and used it as part of the apple blend for his famous apple brandy. With the Industrial Revolution, Americans’ taste began turning more to beer instead of cider, so plantings of Hewe’s Crab began to decline. Prohibition led to a near-extinction of the fruit. Only a few trees survived in places like Williamsburg and Monticello, where they focus on preserving historically significant plants. Now that cider is experiencing a bit of a renaissance, there has been a renewal in plantings, but still only a few cideries grow this apple. It is prone to produce fruit only every other year, which can make it not very cost-effective to plant. 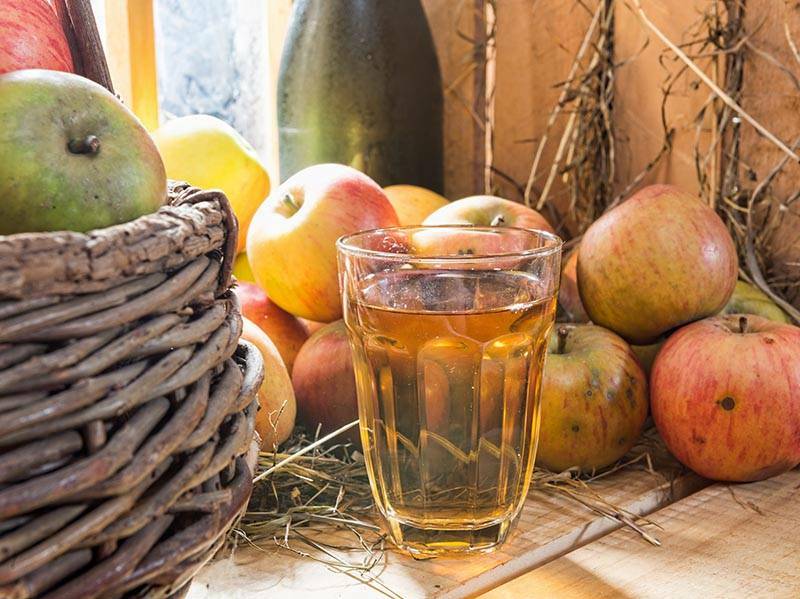 Bad weather during a fruit-producing year can wipe out an entire crop resulting in no new cider for at least another two years. To experience this historic fruit, seek out one of the only producers in the state who is growing and making cider from the Hewe’s Crab: Blue Bee Cider. They will be in the store on May 18, sampling several of their ciders, including the Hewe’s Crab.